The American Health Care Act (AHCA) passed by the House of Representatives would cut health insurance for nearly 200,000 Iowans in order to provide billions in tax cuts to wealthy individuals, drug companies, and insurance companies. Moreover, instead of fixing the problems with Iowa’s health insurance exchange, it would make those problems worse. As the Senate uses this legislation as the basis for its own proposal, supporters’ promises of more state flexibility and individual choice ring hollow. So-called “flexibility” means an enormous cost shift requiring the state to spend millions more and cut services. Meanwhile, “choice” for thousands of Iowans would be stark: go without health insurance that had become unaffordable, or go without basic necessities such as food. The AHCA would fundamentally change Medicaid in two ways. First, it eventually would end the Affordable Care Act — or Obamacare — expansion of Medicaid, through which 150,000 low-income Iowans have gained coverage. 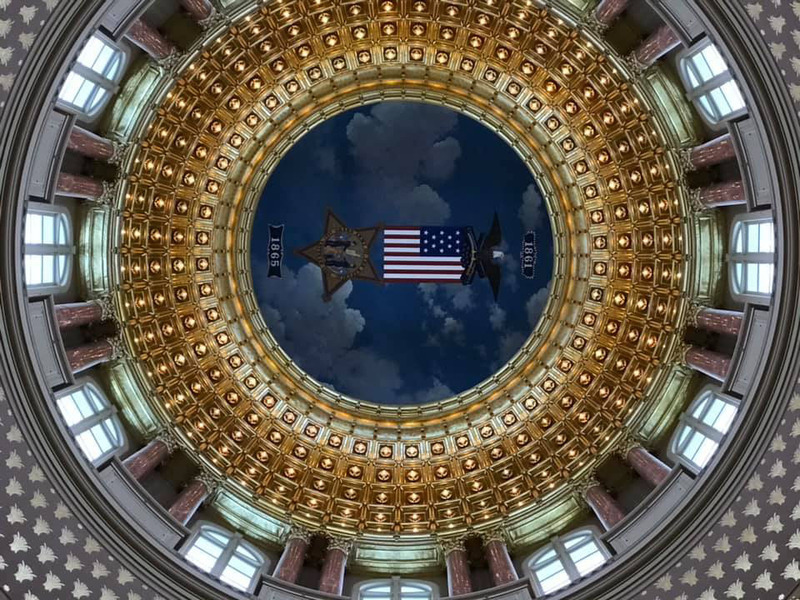 Second, the AHCA would cut federal funding for the overall Medicaid program, which would force Iowa to find an estimated $336 million more in the state budget for 2023 in order to maintain current eligibility. Given Iowa’s chronic budget shortfalls, this is very unlikely to happen. As a result, the state would likely be forced to restrict Medicaid eligibility and cut benefits to children, the elderly and the disabled. Altogether, some 191,100 Iowans — 38.1 percent of the nonelderly adult enrollees now served — could lose Medicaid under the House plan, according to new analysis by the Urban Institute. This would make Iowa one of the biggest losers nationally, as only 11 states have greater shares of their Medicaid enrollees in jeopardy of losing coverage. Nationally, the loss is set at 1 in 4 enrollees. The AHCA hits rural and elderly Iowans the hardest, both from the cuts in insurance subsidies and the cuts in Medicaid. In Iowa’s 78 counties outside metropolitan areas, a family of four with $40,000 income would face an average net increase in premiums (after subsidies) of $7,607 per year; their cost would about double. For an elderly couple with the same income, the increase would average $14,582. The likely loss of the Medicaid expansion would disproportionately harm rural Iowans, who are more likely to have health issues and difficulty paying for health care. One of the most disingenuous claims by AHCA architects is that Americans with pre-existing medical conditions — now protected by the ACA — would keep that protection under AHCA. In fact, AHCA creates a state option to let insurance companies charge higher premiums and scale back coverage of now-required “essential health benefits.” The requirement that insurance companies cannot deny coverage is a hollow one, if they can simply price people out of it, or drop benefits they do not want to cover. And the fig-leaf funding provided by the bill would not nearly compensate for the costs to the millions facing these higher prices, including 1.3 million persons in Iowa with pre-existing conditions. AHCA problems do not end there. The quality of health insurance policies is sure to decline as states choose to waive requirements for essential health coverage. By allowing states to eliminate the federal “essential health benefits,” the AHCA would permit employer plans to reinstate annual or lifetime benefit limits, and to stop capping out-of-pocket maximum for certain coverage. This would put millions again at risk of catastrophic costs and medical bankruptcy. The AHCA makes two very significant changes to Medicaid. It alters the way states are reimbursed for the Medicaid expansion population, and it changes the way the overall Medicaid program is financed. Traditional Medicaid consists primarily of health insurance for low-income children, some parents of those children, low-income seniors, and the disabled. About 3 in 8 children in Iowa, 286,000 in total, get health care through Medicaid. One in 4 Iowans with a disability receive Medicaid, about 90,000 individuals. And about 46,000 seniors receive Medicaid to pay for nursing home care, or in-home care that allows them to remain in their homes. Currently, the federal government pays about 58.5 percent of the cost of traditional Medicaid in Iowa. When recession hits, or an epidemic of flue or opioid addiction strikes Iowans, the federal government automatically matches any needed additional Medicaid payments. Under the ACA, a significant expansion of Medicaid brought health coverage to an additional 150,000 low-income adults in Iowa, with the federal government covering 90 percent of the cost. The ACA extended Medicaid eligibility to adults with incomes up to 138 percent of the poverty level (about $16,600 a year for an individual) in states that agreed to take part. The majority of those adults are working, most likely at low-wage jobs without meaningful or affordable health insurance, if health insurance is offered at all. In Iowa, nearly 9 in 10 adult Medicaid recipients are in working families, and 7 in 10 are working themselves. Nationally, the majority of working Medicaid recipients were in full-time jobs; of those not working, most were in school, were caretakers for a relative, reported an illness or disability that prevented them from working, or were unable to find work. Some proponents of the AHCA have stated that “no one will be thrown off Medicaid.” This is not accurate. Under the ACA, the federal government paid the entire cost of covering those enrolled in the Medicaid expansion through 2016, and at least 90 percent going forward. Beginning in 2020, the AHCA would repeal that high match rate for any new enrollee, including anyone currently in the program who does not maintain continuous enrollment. In practice, most recipients use Medicaid for relatively short spells, due to unemployment or other financial setbacks. As Medicaid recipients cycle on and off the program, within just a few years, the vast majority of those now covered by the Medicaid expansion will no longer be eligible for the enhanced federal match. The nonpartisan Congressional Budget Office estimates that in just five years, fewer than 5 percent of those in the expansion would remain on Medicaid. This means that under the AHCA, Iowa would have to come up with 41.5 percent, instead of 10 percent, of the cost of the Medicaid expansion, because the federal match would fall from 90 percent to the state’s regular rate of 58.5 percent. To maintain current eligibility with the lower match, Iowa would have to dip into its own revenue to come up with an additional $192.5 million in 2021, an increase of 191 percent. By 2023, the state’s additional cost would be $335.8 million, a 288 percent increase over current spending on the expansion population. 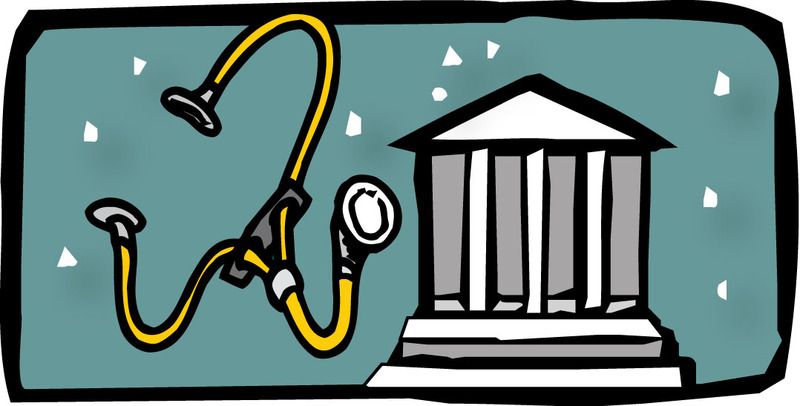 It is highly doubtful that the state would find that much more in its budget for Medicaid. The second major cut to Medicaid under the AHCA is a dramatic shift in how the overall Medicaid program is funded. Currently the federal government pays 58.5 percent of total Medicaid costs in Iowa, regardless of how those costs rise due to a recession, rising health costs or new health care crises. Under the AHCA the federal contribution will be set at a flat per capita amount. The Medicaid population will be segmented into five groups based on eligibility: those with a disability, the elderly, non-disabled children, non-disabled non-elderly adults, and the non-elderly adults in the Medicaid expansion group. Caps would start with federal Medicaid spending in 2016 and then rise each year, at a slower rate than Medicaid per beneficiary spending is currently projected to rise. As a result, the federal government would save billions of dollars through the shift to per capita funding, with the amount growing substantially over time. The projected federal savings will come at the expense of state budgets and the low-income individuals served by Medicaid. It is unlikely that state spending will rise to fully offset the loss in federal funds. The state would then have to cut benefits, eliminate optional Medicaid programs, or restrict eligibility. Health care crises such as the epidemic of opioid addiction. Probably the most important danger with the AHCA per-capita cap is the “demographic time bomb.” The population is aging, in Iowa and throughout the country. As the Baby Boomer bubble works its way through the elderly population, seniors will become older on average. The share of Iowa’s seniors who are age 75 or older is expected to rise from 42.6 percent in 2020 to 47.3 percent by 2030, and then 55.7 percent by 2040. This is significant because Medicaid spending per capita is much higher for the “old old” than for the “young old.” Average Medicaid spending per recipient for those age 85 or older is 2.5 times the amount spent per recipient age 65 to 74. Growth in the per capita Medicaid reimbursement for the elderly population will be based forever on Iowa’s level of spending for all seniors as of 2016, before the boom in Medicaid’s aging population. The rising cost of Medicaid for seniors, as they become on average older and sicker, will not be matched by the federal government. That will stick the state of Iowa with higher costs, cause cuts in benefits to seniors, or both. One program that could very well end up on the chopping block is in-home health care, an important program that allows seniors to receive needed services while remaining at home, rather than in a nursing home, which is more expensive. None of this is a fluke, or an unintended consequence of the AHCA. To the proponents, it is a measure of the success of that legislation — to shift costs and risk from the federal government to the states, health-care providers, and to the low-income populations served by Medicaid. The states will have to make the hard choices — who gets served, who gets cut. The elderly and the sick will suffer the consequences. In the long term, a shift to per capita caps could be even more detrimental because they present a clear target for federal budget cuts. This potential is evidenced by President Trump’s recently released budget. Even before the AHCA is introduced in the Senate, the President has proposed to reduce the growth rate for the per capita caps in future years, below the rate in the House bill. The Medicaid expansion greatly increased access to health coverage in Iowa’s rural areas, where the percent of non-elderly residents who were uninsured was cut nearly in half between 2013 and 2015. Those historic gains in coverage are threatened by the AHCA. Rural residents are more likely than urban residents to have a disability or other health issue, to be unemployed, or to be poor. In other words, the need for Medicaid is greater. The Affordable Care Act (“Obamacare”) barred insurance companies from a number of harmful practices that used to be common in the individual market. Insurers used to be able to leave out benefits, such as prescription drugs and maternity care, but now must cover a comprehensive set of 10 “essential health benefits” and cap the amount of deductibles and other out-of-pocket costs each person can be required to pay each year under their plan. Insurers also used to be able to impose limits on benefits that they would pay out each year or over a person’s lifetime, leaving people exposed to catastrophic costs even though they had coverage. Insurers also must issue insurance to anyone, regardless of pre-existing conditions, and cannot vary premiums only by gender or health status. People in their 60s cannot be charged more than three times the premium of people in their twenties for the same plan; older people used to have to pay far more. To make these protections possible, the ACA required people to purchase insurance or pay a penalty. Without that requirement, healthy individuals would wait until they got sick to purchase insurance, and without healthy individuals in the pool, the insurance market would not be viable. ACA subsidies help low- and moderate-income people pay their premiums; cost-sharing subsidies help reduce deductibles and other out-of-pocket costs for low-income people. The House-passed AHCA would immediately repeal the requirement for individuals to have coverage or pay a penalty, causing an estimated 20 percent increase in individual-market premiums in 2018, all else equal. The bill would also drastically reduce the help that modest-income people get with paying their premiums, deductibles, and other costs. Insurers would still have to issue plans to everyone, regardless of health status, but they would have be given other tools to reduce their coverage of people with medical needs. The bill would allow insurers to offer only high-deductible plans, and not plans with lower deductibles that are now required in the marketplaces. The bill would allow insurers to charge older people up to five times more than younger people for the same plan — far greater than the current ratio of three to one. In addition, the AHCA creates state waivers that would allow insurers to further roll back consumer protections — waivers that about half the states, including possibly Iowa, would be expected to take. All told, the individual insurance market would look much like it did prior to the ACA, with far fewer people covered and people with pre-existing conditions blocked from getting affordable coverage that meets their needs. Starting in 2018, states can allow insurers to charge older people even more than five times what younger people pay, further raising premiums for seniors purchasing coverage individual market. Starting in 2019, states can allow insurers to charge to effectively end the pre-existing condition provisions of Obamacare; states could allow insurers to charge higher premiums to people based on their health conditions. Starting in 2020, states can eliminate the requirement that insurers must cover 10 categories of essential health benefits in individual and small group insurance plans. About 1.3 million Iowans had pre-existing conditions that could have disqualified them from health insurance in 2009, according to the U.S. Department of Health and Human Services. Of those, 174,000 are children, and 319,000 are age 55 to 64, the group facing the highest premiums on the private market under the House-passed AHCA. Iowa could, of course, keep the ACA pre-existing condition protections in place to protect those with pre-existing conditions, who represent about half of the entire population under age 65. However, the state would be under heavy pressure to seek one or more waivers to permit insurers to sell lower-premium, skimpier coverage that might attract healthier people — even tough the House bill would remove the penalty for being uninsured and people would get far less help paying their premiums. While the Obamacare prohibition on lifetime or annual limits on benefits would technically remain in place under the AHCA, this applies only to coverage of the 10 essential health benefits. States could obtain a waiver to remove some or all of those essential benefits from the required list. This would allow insurance companies to impose annual or lifetime limits on payments for benefits no longer defined as essential. Similarly, the Obamacare requirement that policies limit maximum spending by individuals on deductibles and other out-of-pocket costs each year protects people from catastrophic costs, but this provision again applies only to the essential health benefits. To see how this could work in practice, suppose a state receives a waiver to remove maternity care from the list of essential health benefits for policies issued in that state. Insurance companies might still offer policies that include maternity care. But those policies could now limit what they will pay when an enrollee has a baby, and they could exclude maternity services from the plan’s out-of-pocket maximum. This in turn puts the enrollees at risk of catastrophic costs, which could lead to medical bankruptcy. For example, a child birth that requires a C section, or a few days of care in the neonatal intensive care unit, could easily cost over $200,000. A person with maternity coverage might find herself to be responsible for most of that cost, because there is no out-of-pocket maximum for the insured, but there is a limit on what the insurance company will pay. Even people with employer coverage could find weakened protections against high cost sharing under the AHCA. That is because the ACA prohibition against annual and lifetime limits, as well as the cap on yearly cost-sharing amounts, applies to virtually all private insurance plans. About 1.1 million Iowans would have a policy with a lifetime benefit limit were in not for the ACA. Under current law, premium credits are available to people with low or moderate incomes, to help make it affordable to buy a plan. The credits are based on enrollees’ incomes as well as the actual cost of the premium for a plan in the place the person lives. The ACA also provides cost-sharing reductions (CSRs) that lower deductibles and co-payments that people with low incomes pay under their marketplace plans. In 2016, the average Iowan purchasing insurance on the exchange who was eligible for the credit had to pay only 29 percent of the premium, the rest being covered by the credit. The AHCA would substitute a flat tax credit that is the same regardless of income, and regardless of whether someone lives in an area with high premiums or low premiums. The size of the credit varies only by age, from $2,000 for persons under 30 to $4,000 for those age 60 or older. For the average Iowan purchasing insurance with subsidies, the effect of the AHCA is to increase overall costs by $3,900 per year. Premiums would increase nearly $300, the tax credits would decline by $2,685, and cost sharing in the amount of $926 would be lost. For older Iowans, who face much higher health insurance premiums to start with, the AHCA would cause a staggering increase in costs. A 60-year-old pays on average just $1,183 in net premiums, after credits, under the ACA. But under the House bill, that net premium would jump to $9,614, an $8,431 increase. For an elderly couple with no children at home and with the same $40,000 income, the AHCA would cause them to lose premium assistance ranging from $5,940 to $17,830. In 63 counties the premium credit loss would exceed $15,700, and once again, all but six of those counties are rural. If we focus instead on the 20 counties where the credit loss would be the smallest, both for the family of four and for the senior couple, we find 12 of those 20 counties are in metropolitan areas. In the map below, the lighter-shaded counties, with black lettering, are those where the tax-credit losses in 2020 are projected under AHCA to be above $8,000 for four-person families with $40,000 income, and above $15,000 for 60-year-old couples with $40,000 income. The light-yellow counties are in metro areas; the light-green counties non-metro areas. The average premium increase in Iowa’s 21 metro counties (those within one of the nine Census-designated metropolitan areas) is $3,517 for the family of four, $9,150 for the senior couple. For the 78 non-metro counties, the average premium increases would be $7,607 for the family of four (about double), and $14,582 for the senior couple. The ACA is financed in large part by two Medicare taxes that fall only on individuals with incomes above $200,000 or couples with incomes above $250,000. The AHCA would repeal these taxes. Millionaires would get 79 percent of the benefit if these taxes were ended. The 400 richest households in the country would receive a $2.8 billion windfall, for an average tax cut of about $7 million a year for each household. The AHCA also repeals taxes on insurance companies, pharmaceutical companies, and other corporations. Iowa’s insurance exchange is in trouble as insurers exit the market. The principal reason is that too few young, healthy individuals purchased insurance on the exchange. While this has been something of a problem nationally, it is more severe in Iowa. Few Iowans eligible to purchase plans through the exchange actually did so: In 2016, only 20 percent of eligible marketplace enrollees actually purchased insurance, compared to a national average of 40 percent. This is due in part to poor outreach by the state to inform consumers about the benefits of enrollment — and the state even turned down federal funds for this purpose in 2013. In addition, the ACA was designed to eliminate poor-quality health insurance plans that covered too few health benefits, capped insurance company payouts, or had no limits on a patient’s out-of-pocket expense. But individuals could seek a waiver that would allow them to retain their old policies — plans that did not meet new standards for benefits or pre-existing conditions — Iowa’s insurance regulators were very generous in allowing such waivers. As a result, many young, healthy people kept their old plans because they were cheap. Without those people in the exchanges, the insurance companies offering ACA plans were left with a pool of people who were sicker, older and cost more to cover. Compounding the issue in Iowa, the state’s largest insurer, Wellmark, opted to continue covering tens of thousands of individual-market customers on their old plans and also decided not to offer coverage through the exchange for the first three years. This likely contributed to the relatively low portion of Iowans moving to ACA coverage through the exchanges. In recent years, Wellmark has had more enrollees in its pre-ACA plans than the total number of all exchange enrollees, splitting up the state’s individual market. There has been speculation about the impact on the Iowa exchange because of one very expensive patient, whose health bills exceed $1 million per month. That person was insured by Wellmark, and when Wellmark pulled out of the exchange after only one year, other insurers may have feared they would have to insure that person, a deterrent to their market participation. One potential solution to this problem is a reinsurance pool, and though one exists under the ACA, it will not kick in until 2018. The uncertainty surrounding the future of the ACA only adds to the risk that insurers see if they remain in the market. The AHCA solution is to put the high-cost individuals in a state high risk pool. The AHCA, however, provides only about a third to a fifth of what is needed to fund insurance for all who need it; the result would be very high premiums for those in the pool, or millions left out of coverage. Meanwhile, the Iowa Insurance Commissioner has filed a plan to salvage the Iowa exchange by requesting a waiver under the Affordable Care Act. There would be a single insurance plan available throughout the state, similar to the mid-level or “silver” plan now available on the ACA marketplace. The plan would cover the ACA’s 10 essential health benefits, and retain protections for pre-existing conditions without any annual or lifetime benefit caps. The proposal also incorporates an element of the AHCA, raising the age ratio, so that premiums for older Iowans would increase more. Premiums would rise for all age levels, as would the credit, which would be based on income just as it is under the ACA. The net premiums would be higher; for example, a family of four at 200 percent to 250 percent of the poverty level would pay $212 more per month, a 53 percent increase, while a couple in their late 50s would pay $236 more per month, an 82 percent increase. The state’s largest insurer, Wellmark, has said it would offer the plan in all 99 counties if the proposal is approved in a timely fashion. The Iowa experience should serve as a warning to other states about what will happen if the AHCA becomes law. That’s because the AHCA would allow all states to waive requirements about essential health benefits, and if they do so that will bring back cheap policies with poor coverage, caps on benefits, and no ceiling on out-of-pocket costs. In other words, states will be free to abandon the principle of one large pool of insured, and instead segment the market, encouraging the young and healthy to buy these cheap policies allowed under the waiver. This would leave the older and sicker on the better policies that remain compliant with the ACA. That in turn may cause insurance companies to abandon such compliant policies, leaving the states back where they were before health care reform. Matt Broaddus and Edwin Park. House Republican Health Bill Would Effectively End ACA Medicaid Expansion. Center on Budget and Policy Priorities. June 6, 2017. Anyone who has not been enrolled in Medicaid for two months is considered a new enrollee under the AHCA. Edwin Park, “New CBO Estimates: 23 Million More Uninsured under House-Passed Republican Health Bill,” Center on Budget and Policy Priorities, May 24, 2017. Aviva Aron-Dine and Tara Straw. House GOP Health Bill Still Cuts Tax Credits, Raises costs by Thousands of Dollars for Millions of People. Center on Budget and Policy Priorities, March 22, 2017. These are population-weighted averages, computed by weighting the premium increase for a county by its share of the total population in the metro or non-metro counties as of 2016. The Henry J. Kaiser Family Foundation. Marketplace Enrollment as a Share of the Potential Marketplace Population. Catherine Rampell. “Want to know what Trumpcare would do to the country? Look at the implosion in Iowa.” The Washington Post, May 22, 2017. Peter Fisher is Research Director of the Iowa Policy Project, part of the Iowa Fiscal Partnerhsip (IFP). 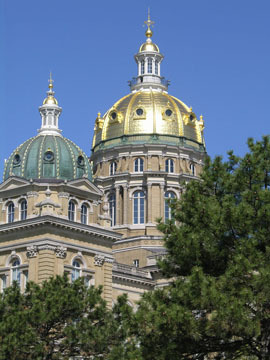 IFP is a joint public policy analysis initiative of two nonpartisan, nonprofit organizations based in Iowa: the Iowa Policy Project in Iowa City, and the Child & Family Policy Center in Des Moines. IOWA CITY, Iowa (March 16, 2017) — The House plan to cap and cut Medicaid — and effectively end the Medicaid expansion — will have a disproportionate impact on women and hinder coverage as well in rural communities. Two new reports by the Center on Budget and Policy Priorities (CBPP) illustrate the challenges as attention turns to the Senate. Of particular note is the threat to the expansion of Medicaid in Iowa and 30 other states to low-income adults previously not covered. 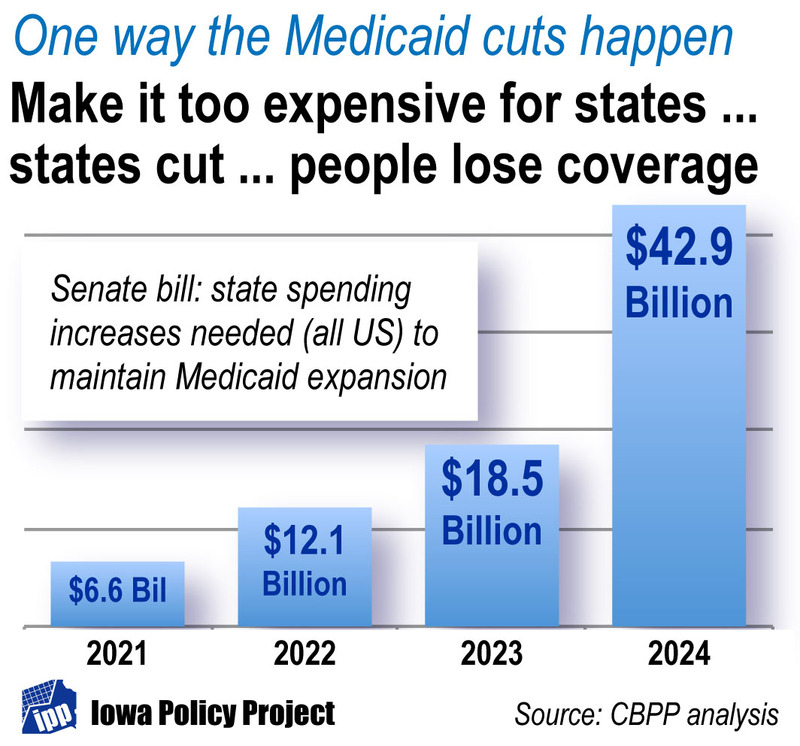 “Previous analysis has shown the Medicaid expansion currently assures coverage to as many as 150,000 Iowans. The call to ‘repeal and replace’ the Affordable Care Act is a hollow one in that we have yet to see a replacement that protects access to health care to this vulnerable population,” said Mike Owen, executive director of the nonpartisan Iowa Policy Project (IPP), part of the Iowa Fiscal Partnership (IFP). A summary by IFP and CBPP of the previous House Republican plan had estimated that the earlier House Republican plan not only would cut health coverage, but also cut taxes for the wealthy while making health care more expensive for poor and rural Iowans. The report noted the Congressional Budget Office had projected the plan would wipe out all gains in health coverage achieved under the ACA. The new reports by the Center on Budget and Policy Priorities — last week on women’s coverage and Tuesday on rural communities — clarify the challenges further. (See links to the CBPP reports below. Not only do women make up a majority of Iowa’s Medicaid beneficiaries, but they also are the primary users of family planning and maternity benefits, and are more likely to use Medicaid’s long-term services, CBPP analysts reported. “The Medicaid expansion loss alone is critical for women, even though it is not the only impact,” Owen said. According to the analysis, women are 54.6 percent of the Medicaid population in Iowa, but 50.4 percent of the total population of the state. In addition, the report stated, 40 percent of total births in Iowa in 2010 were covered by Medicaid. CBPP’s report Tuesday notes that Medicaid “has long played an essential role in delivering health care in rural America.” It also notes that the rural share of the 11 million people — 14 percent — who gained coverage through the Medicaid expansion is greater than the rural makeup of the population as a whole (12 percent). Iowa is among the eight Medicaid expansion states where more than one-third of expansion enrollees live in rural areas, the report stated. It estimates 61,600 — or 44 percent of all expansion enrollees in Iowa —live in rural areas. “If rural health matters, then clearly the Medicaid expansion needs to be a priority and not an afterthought tossed aside for political purposes,” Owen said. The Iowa Fiscal Partnership (IFP) is a joint initiative of the Iowa Policy Project and another nonpartisan organization, the Child & Family Policy Center in Des Moines. Iowa Fiscal Partnership reports are at http://www.iowafiscal.org.